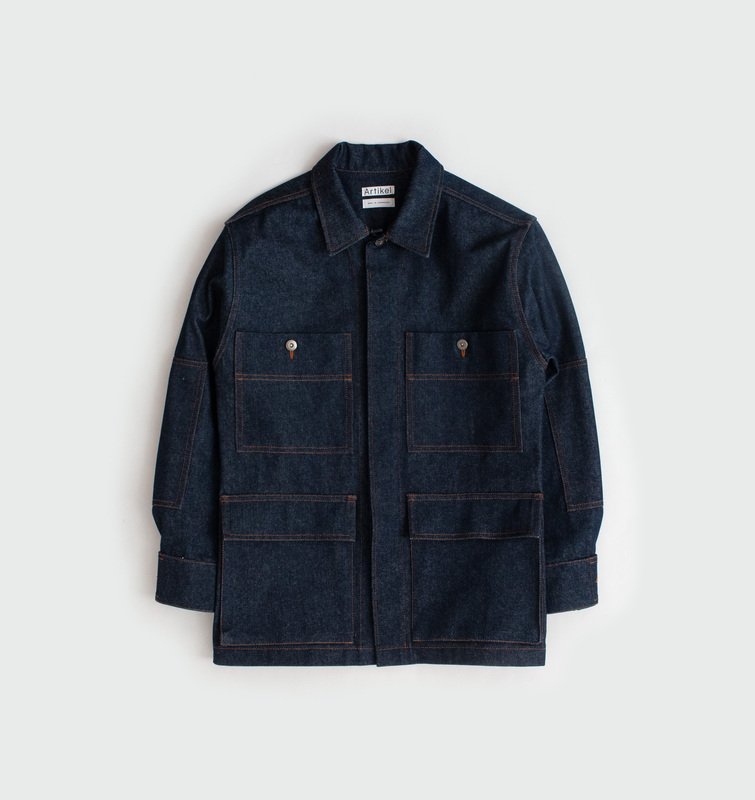 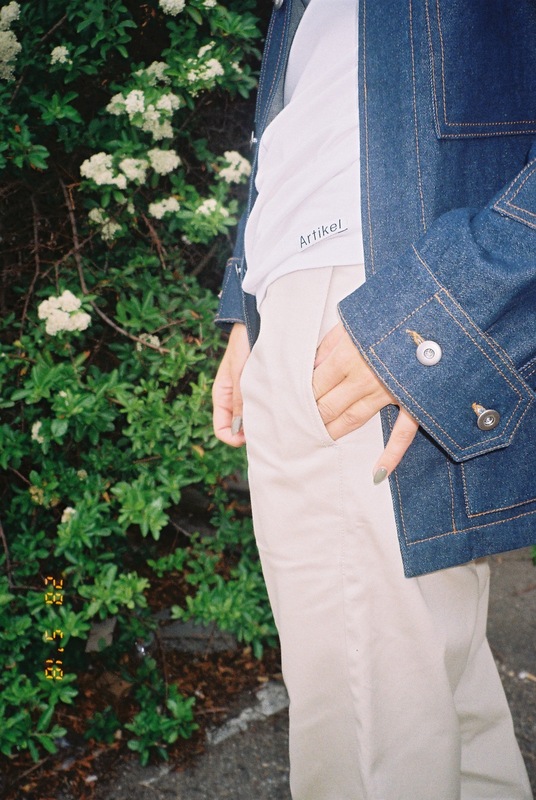 Artikel A1 denim workwear jacket with button detail at the cuff and four patch pockets. 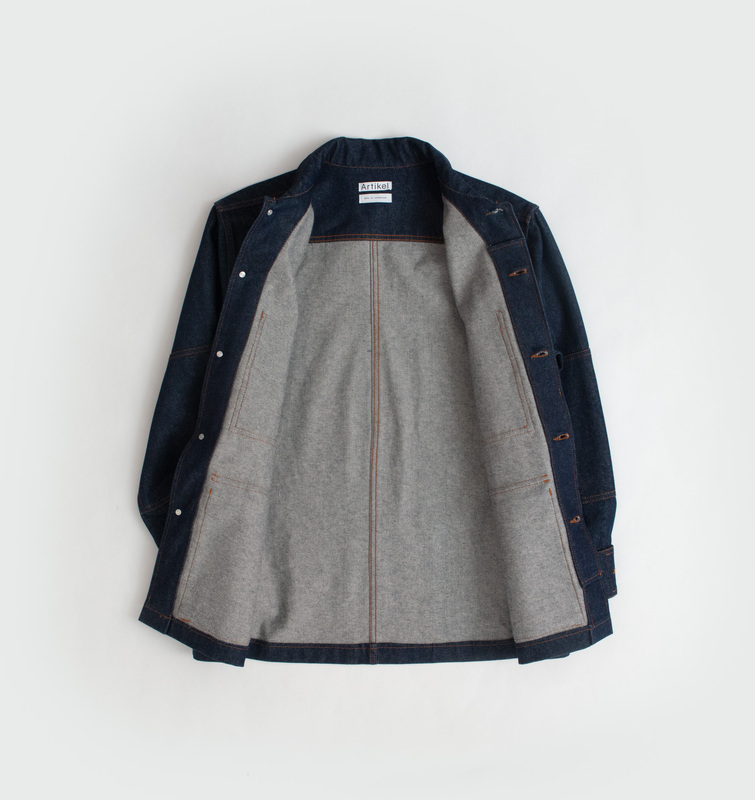 Hidden front button closure. 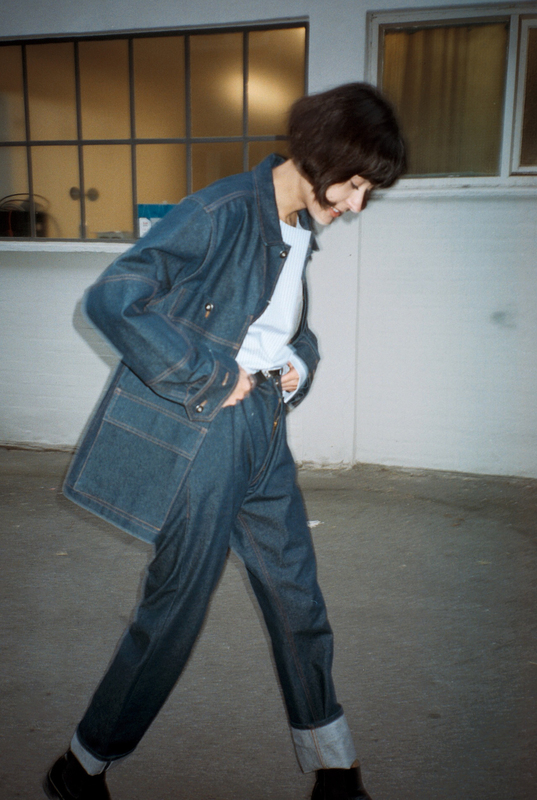 Unwashed and classic, this fabric is made of a solid, thick denim produced in Spain. 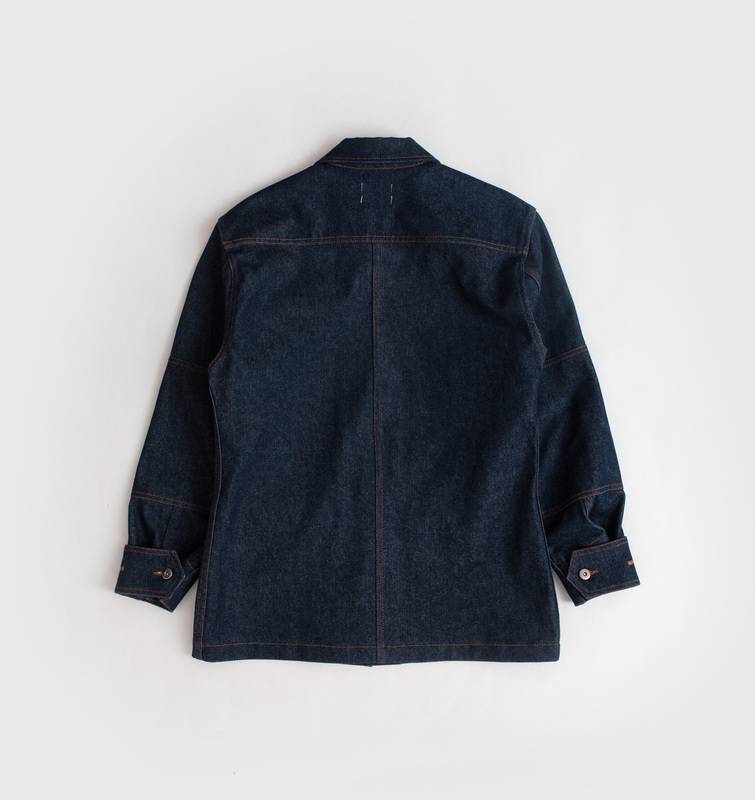 Made of 100% cotton, it’s strong and long-lasting, ready to get its own patina by the one who wears and washes it.